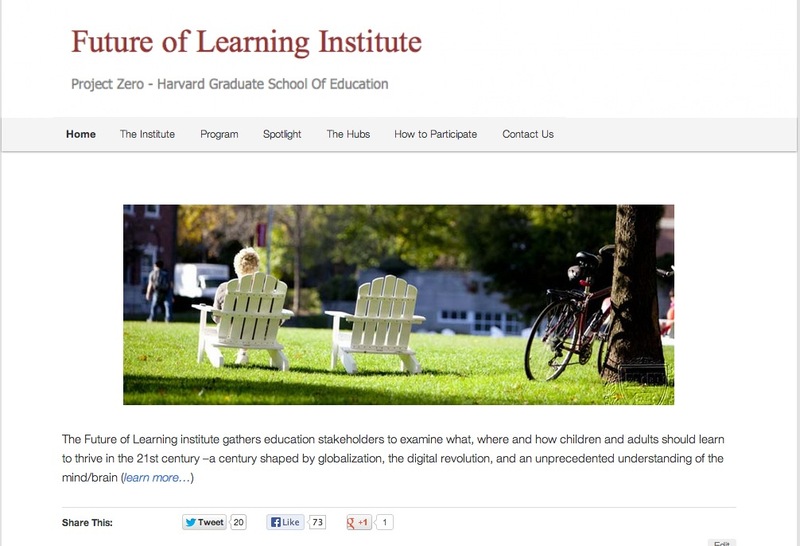 Last June I was approached by Justin Reich from Harvard (and newly with EdX) about building a site for the Future of Learning Institute, that is part of Project Zero at the Harvard Graduate School of Education- he was looking for the syndication/aggregation features I had created for the ETMOOC site’s blog and twitter hubs. Apparently, their local CMS (iSites) was a bit cumbersome before to use, but it also sounded like they wanted to extend people’s participating in social media (read more from Justin on the needs for the site). Syndication seems to be in the air, given the amazing stuff Mike Caulfied is doing with Water106. There was also I understand today a ds106.tv episode with Jim Groom, Tim Ownes, and the hatted one, Howard Rheingold, going over how syndication bus works with WordPress (drats to Gila County for having me inside all day for jury duty). 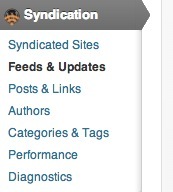 Setup for the aggregation with Feed WordPress, wrestling with feeds (ahem Twitter) (ahem Flickr). Deploying the super cool Twitter analytics tools by Martin Hawksey. A difference for this event from the previous syndication projects I have done is that it was for a shorter time span (a week institute) rather than a course. Since I was brought in to build the site, not be part of the institute, I did not see much directly of how the site was used and presented. This is one giant ever scrolling post. You have been warned. 122 Quick Posts, content sent to the site directly via email. 566 tweets (but note that Feedword Press often manages to repeat tweets in its feeds) But then again, the Twitter Summary archive captured over 1000 tweets, so I am a little leery of relying on the syndication method for capturing twitter – especially when you see below the end around one needs to get an RSS feed for twitter. 185 people tweeted at least once, but its a long tail distribution, 13 people had 20 or more tweets, with the top person tweeting 179 times. The site recorded 47 comments. But I jump ahead a bit. I set up a child theme for Twenty Eleven- you can find this code on github. A series of instructions for each kind of syndicated content is set up as pages under the.. How to Participate menu. As I brainstormed the site with Justin, we wanted a means to highlight content among the flow in a section called “Spotlight”. This is merely a category, and the institute staff monitored the flow to add this category to syndicated content so it would be added to the Spotlight. This makes it easy for editors to pick items from the flow and just edit it to add a category. As an experimented, I set up a system where participants (or site visitors) could indicated content they found noteworthy by favorting it- this is done with the WP-PostRatings Plugin, but using a simple like instead of a star rating. I made this appear on all syndicated content. A widget in the bottom lists the most favorited content. I created a custom page template to generate the 30 most favorited items. This was not hugely used either, with the top item getting 4 favorites. The team wanted a simple front page, but hinted at wanting to have the newest spotlights appear. This means setting the WordPress options for the front page to be a static page. I customized the front page theme, front=page.php to include extra code to fetch the latest spotlight and display it. Because the syndicated flow content can grow quickly, I like to add paged navigation (Prime Strategy Page Navi plugin) to the category archive template (this is what displays the syndication hubs). There is some code to get the count of the total number of items in a category. >Linit Login used to fight the brute force login attacks that WordPress seems to be attracting. Links Shortcode added to a page can list all of the items in a link category. 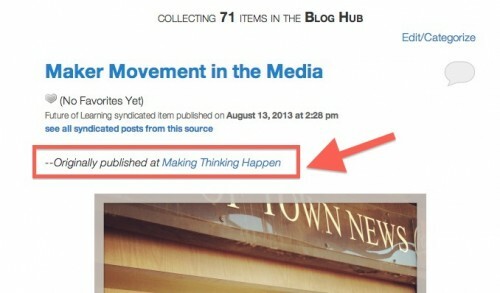 I use it to show the Subcribed blogs – Since Feed WordPress stores these as links, I can display all of the blogs. Because there is an option to exclude links, I am able to prevent the links for feeds from flickr, instagram, twitter, etc to be shown. SimplePress About a week before the institute, the staff asked if we could have a private discussion forum for group leaders. I looked at a few such plugins, and SimplePress seemed to do the job. I am not too enthusiastic about their model- you get a basic free plugin, but any addons or documentation requires paying a fee. This did work well- I set ti up so forum participants were created as WordPress users with Author role, and I set in Simplepress that this role would not see the WP dashboard (anyone who needed to add content were set to be Editors), so they just could log in to the forums. Styles The planners wanted to change some colors of the menu and headings, and since this plugin works with Twenty-Eleven, I used it to make changing the menu colors, fonts, etc a bit easier. Feed WordPress this is the syndication bus engine, that drives all of the hubs. Feed WordPress Add Attribution – use this every time- it creates the options to add to each syndicated post a clear indicator of the source and a link back. Ada FeedWordPress Keyword Filters – adds features ti be able to filter syndicated items by keywords/hash tags (see below) used for the blog syndication. Yeah baby, that’s what you came for, right? 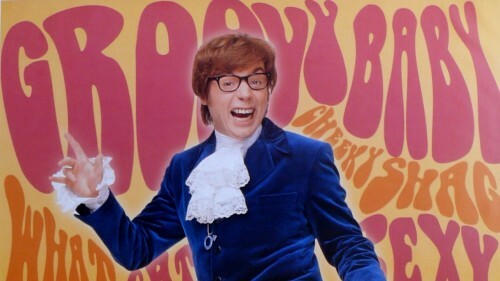 Now I try to outline the setup of Feed WordPress and the hijinks needed for some of the syndication sources. One key for FWP is setting up the defaults that are applied for every feed. Thats a nifty part of the design, because you can overrode for specific feeds as needed, but your work is easier if you get the defaults done first. Now we make some important setups- I am using the Ada Keywords plugin to solve an issue for blogs- dealing with user submitted blog URLs for tags and categories is messy. It’s easiest if all you have to ask for is the main URL of a blog as its feed is nearly always discoverable. I borrowed this strategy from Martin Hawksey, we tell participants for their posts to syndicate, they have to use a keyword in the title or body of a post, essentially a hashtag. This way, they can use a general blog they might use for other purposes. If we later have a feed where we want to syndicate everything, regardless of this, we can simply turn off this filter per feed. For feeds like flickr, twoitter, instagram, the source was not needed. The only way I found to override that was to put a blank space in the same boiler plate per feed. 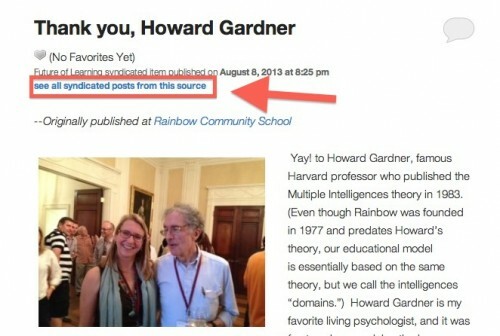 and that link goes to all syndicated posts from the feed for Rainbow Country School — it is sort of using the author archive as a category one. 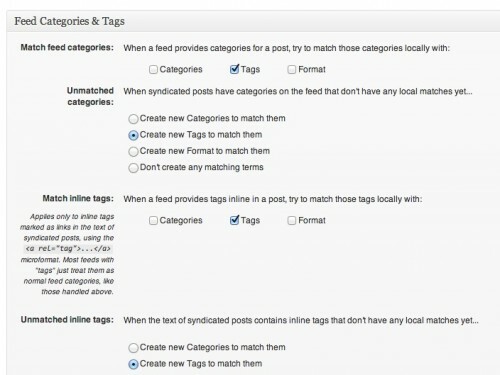 For Categories and Tags I set things up to move any categories or tags from the source blog into just WordPress tags (this allows me to cleanly use Categories for site organization. For this site, we did not plan to use user categories/tags at all, but at least we have them. This means for blog feeds, I do not have to override any settings. Below I show you the overrides made for the social media feeds. While we hope one day to set up ways to make this more streamlined, for the Future of Learning site where the blog number was small, I opted to used a Google Form embedded into a site page to get blog URLs. I set the spreadsheet to notify me when new submissions are received, but yes, it becomes a manual cut and paste to add a feed to the engine. This enables anyone to post to the site by sending an email! 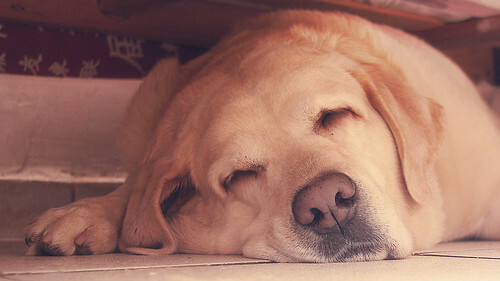 The subject becomes the post title, the formatted email the body of the message, and any attachments get uploaded (well the ones that wordpress allows as an upload). I had an early fail, because the max upload size on the site was set to 10Mb and the staff was trying to email 30Mb PDFs of presentations.. I had to make some config tweaks to fix the max upload size to something like 64 Mb. You do not want to put this address on the public site, since anyone can post content! I set up a password protected page that provided this email address (it was sent to participants by email as well) as well as a downloadable vcard and CSV file for importing as email contacts. Now one hitch is that when these arrive, they are not assigned to a WordPress category, so to be able to organize them by category, by semi brilliant idea was to make the Quick Dispatch category the default category, meaning that anyone creating other content had to make sure they used a category for their post. That seems to work fine. The benefit of the Quick Post is that participants can easily add to the site w/o having to make them use the wordpress interface (does anyone remember this cool site called “Posterous”?). Everyone knows how to use their email, right? And it also means people can post from their mobile device. I did not hear of any problems with people being able to post this way. I see it as a worthy feature to have in a site. One thing to keep in mind is that all posts that come in this way get attributed to my WordPress account, since I authorized the JetPack plugin. I snuck around this by changing my display name to “The Future of Learning is Here”. 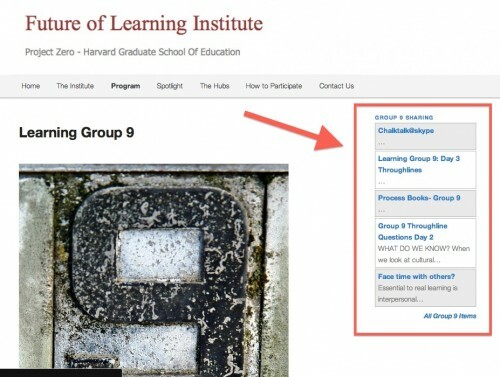 We saw good use of the #hzsepfol hash tag and we brought the activity into the site. Now there was a huge wrinkle- When Twitter flushed their 1.0 API, they flushed as well public RSS Feeds. I found the solution at labnol, which has a google script that converts the API json feed to RSS which gives me a URL I can add to Feedwordpress. This seemed kind of shaky, but has worked solidly. Now when you get tweets in via Feedwordpress, their display is ugly since the Tweet text is both the title of the post and the body. I have a nifty solution, use the WordPress automebed feature to make the tweets look like… tweets. There can be a slight delay as the site does embeds for a page full of tweets. For the sidebar widget, I just generate the code from twitter itself; it seems like un-needed overhead to have a plugin do the same thing. But wait, we are not done! For every project that uses a twitter hash tag I use Twitter Archiving Google Spreadsheet TAGS v5 developed by Martin Hawksey. This not only creates an archive of all tweets, we get a summary of activity, a dashboard, a neat visualization, and a searchable archive. I embedded all of these in the site with iframe tags- these are great analytics to provide your project. 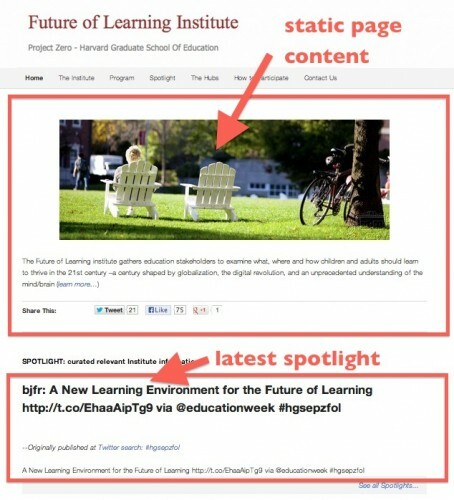 I found out almost by accident that Instagram has RSS feeds, and it is clean to see how ti works — http://instagram.com/tags/hgsepzfol/feed/recent.rss so I combined in the photo content from these 2 photosharing sites. I have to say that photos tagged in Instagram showed up within a minute in its RSS feed- flickr has always been inconsistent, and sometimes it takes more than 24 hours for a participant’s photos to show up in the feed for a flickr tag. 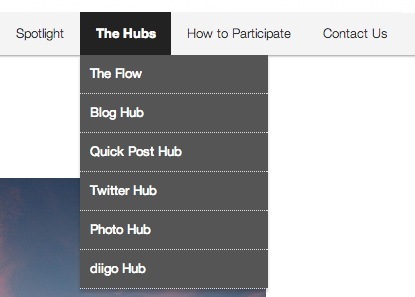 In Feed WordPress, I overrode the default categories to apply the Photo Hub one. The funky thing about Instagram is the permalink just points to a JPG image, not to a web page that contains it (example). And the disappointing thing about flickr’s RSS is that it embeds a tiny size, 320 pixels wide. I tried a few end arounds, before digging and finding a Yahoo Pipe that takes a flickr tag RSS feed, and returns one that has a bigger sized image in it. This worked for a while, then stopped. I found the pipe had been deleted. I found another one, and made my own copy of it! Compare the size of images we get from flickr’s RSS feeds to the ones we get from the Yahoo Pipe. I always feel like Yahoo Pipes will vanish on short notice, but they are an incredible tool to bend to your whim. I’m thinking for possible future work to see if I can mix the feeds from say diigo, delicious, Scoppit into a yahoo pipe to have one social bookmarking feed. I wonder if anyone will get to the bottom of this crazy long post. I tried to cover all of the key parts in building the Future of Learning site. It was made from a foundation of the work I did earlier this year for ETMOOC, but as always refined. IN a later post, I will show how pretty much a similar structure and set of tools played out in the rMOOC site but has a very different look and feel. The pieces come together easily, but this is by no means perfect. Setting up a form for blog subscriptions to go tight into Feedwordpress is needed (extending some of the code that Martha Burtis did for ds106), but it needs as well to be done in a way that people can change/add feeds them selves via the WP interface. And Feed WordPress, as wonderful as it can be, can sometimes just go a little bonkers. SOmetimes it marks feeds as unreachable or invalid that are fine. When I added the plugin that is supposed to prevent duplicate posts, I found that the feed from Instagram would be processed, but all items wew skipped. 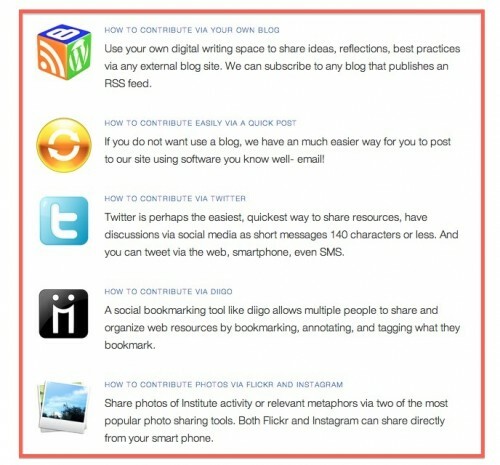 You can find all my posts related to these kinds of sites via http://cogdogblog.com/tag/building106. Pingback: Water106: A very interesting concept/approach. Part of our future learning ecosystems? I did read all the way through, check out the examples and look at the code examples and what they produce. I finally have an understanding of what syndication does to pull in content, why it matters and why not everyone can get it done well. Also new found respect for you and others who lurk backstage at the internet show! It is so easy for us users to say – could we have an x that does y? it takes real craft to make it happen backstage and then for us to see seamless results and yet moan when they are not seamless. I am glad I took the time to read, I can think about my own site in a more skilful way as a result of your post.